With the RBC Heritage being the tournament after the Masters, it’s no surprise that the field is fairly weak. Yes, Masters champion Jordan Spieth is playing, but there are only three other players inside the top 20 of the Official World Golf Rankings. Therefore, we must dig deep a bit to find the guys to make the best lineup. There are a few guys who have terrific odds per dollar this week, and they will be used. But of course, there will be other factors to consider as well. Let’s break down the tournament and specifically Harbour Town to see what we need to prioritize. 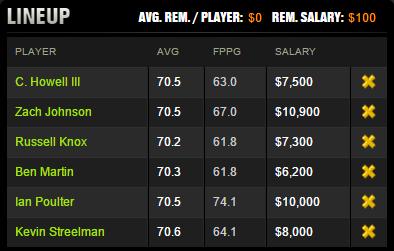 For most golf tournaments on DraftKings, we like to prioritize length. That’s not the case this week. Harbour Town is a par 71 at 7,101 yards, which is fairly short for a PGA course. There are only three par 5s – No. 2 (502 yards), No. 5 (540 yards) and No. 15 (588 yards). The par 5s on the front nine are both reachable in two for any of the Tour players. There were 15 eagles made on the two holes combined last year, and that’s about average. There have been zero eagles converted on No. 15 the last two years and only one was made three years ago, and that was a hole-out with a short wedge. No. 9 is a short par 4 at 332 yards, but it is a very poor decision to try and drive it. There is rough between the fairway and the very shallow green with bunkers protecting it, and you will see almost everyone hit a long iron or utility club off the tee so they can apply the appropriate spin with a wedge from about 80 yards out. Harbour Town is target golf. This means there are a lot of forced carries and spots you need to hit to as opposed to just ripping driver a lot of the time. This is why you don’t see a lot of long-ball hitters in the field. The course doesn’t set up well for them. Therefore, our strategy is simple – use odds per dollar, find guys high enough on the birdie or better percentage list and still have low variance so they make the cut. The winning score here is usually around 10-under or slightly better, so you usually don’t see really low scores. Charles Howell III $7,500 – His only missed cut this calendar year was at the Texas Open, and Howell was part of that brutal Thursday morning group with the absurd winds where almost no one from the morning groups made the cut. Howell has fantastic value on the odds per dollar sheet and has placed in the top 21 four times over the last two months. 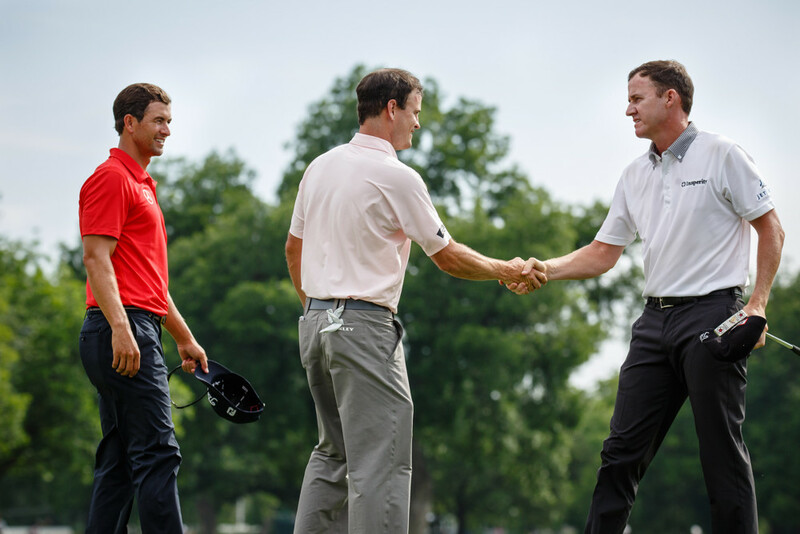 Zach Johnson $10,900 – Zach is the model for accuracy and precise wedge play. He has five top 10s this season, which includes the Masters and the Arnold Palmer Invitational. Despite being a shorter hitter, he’s 28th in birdie or better percentage and can go low. Russell Knox $7,300 – Another great play on the odds per dollar sheet. Like Howell III, Knox has been playing well outside of the Texas Open when he was also part of that Thursday morning waive of tee times. Ben Martin $6,200 – The best play on the odds per dollar sheet. 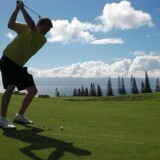 He’s 9th in GIRs and one of the best iron/wedge players on Tour. Ian Poulter $10,000 – Even though he turned pro 20 years ago, Poulter is arguably having his best start to a season on the PGA Tour. His only missed cut was at the AT&T National Pro-Am (missed 54-hole cut by one stroke), he finished T6 at the Masters (despite getting really unlucky at a couple points in the earlier part of his round) and he has three top 10s on the year. He’s also now 41st on the birdie or better percentage list and can go really low. Kevin Streelman $8,000 – A great play on the odds per dollar list and my fill-in play. He’s one of the most accurate players on Tour both off the tee and hitting into the green. Martin also finished T12 at the Masters, has made his last four cuts and has made 11 of 14 on the year. It’s important to note the high percentages of these players making the cut this year, because the field for this event isn’t that strong. Mentioning cuts made for players like these before a U.S. Open doesn’t do much, but it does for the RBC. Also, unlike other sports, playing well in your last few events is an influential aspect in golf as long as long as it’s put into context. Where’s Spieth? Yes, his odds are crazy good. Here’s the thing about Vegas though – they jack odds for recent winners, especially someone like Spieth who is a first-time major winner and is playing the week immediately after. Despite how mature he appears to be for his age, I don’t think he’s going to win, and Spieth’s usage percentage is going to be through the roof. I’m sure he’ll make the cut and post reasonable scores though. If you do go the Spieth route, it’s tough to use other guys that all have a good chance to make the cut. I would use Zac Blair at $4,700 with Spieth to give you the chance to use some players that are still on the higher end for salaries. Blair has better odds per dollar than anyone at $6,600 or cheaper. What formula do you use to calculate odds per dollar?